I.T. Should Empower Growth, Not Restrict It. More than ever, medium sized businesses are looking for a competitive edge that enables them to thrive rather than just survive. To accomplish that they need to transform and become more efficient, agile and unrestricted. 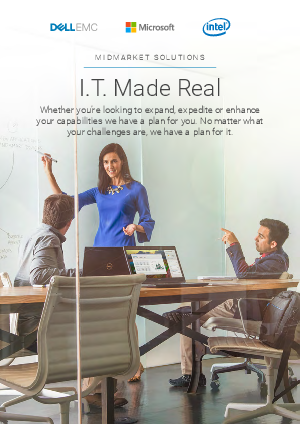 Dell EMC's advanced technology solutions based on Intel processors help them achieve all their short- and long-term goals. Learn more about how Dell EMC and Windows 10 empower growth for medium sized businesses. Windows 10 Pro means business.